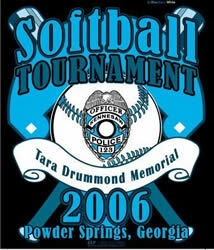 16 Teams gathered at Lost Mountain Park in West Cobb County to play softball and raise money for the Park. 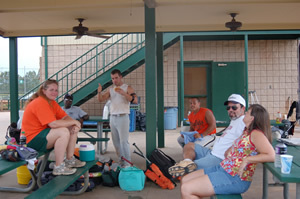 The field was essentially split between Law Enforcement Teams and Recreation League Teams. 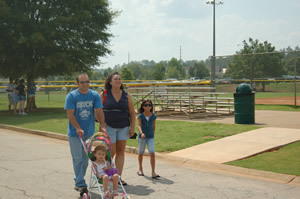 There were a number of special guests who wandered in and out of the Park over the two days of play. During two full days, all 40+ games started on time. What a great weekend. The games and competition was great. Ya'll that hit in the Home Run Derby on Saturday were great to watch. Thank You to all the teams and coaches who participated, especially the Co-Ed Teams that came and played because they wanted to support the event even though we didn't have a Co-Ed Division. 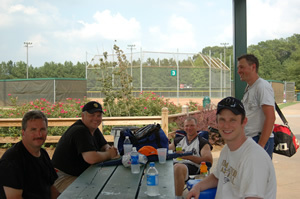 Thank You to the NGAUA (North Georgia Amateur Umpires Association) umpires, several of whom donated calling a number of games to the benefit even though it was very hot through much of the weekend. 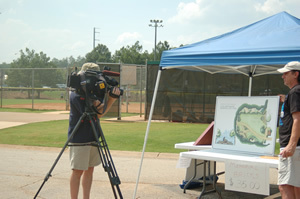 Thanks to the Media for covering the cause and especially the live feeds on the evening news. 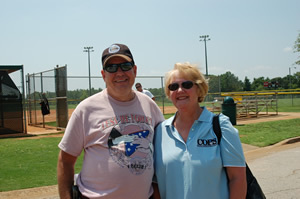 Thank You to all of the volunteers,,,,you know who you are,,,,and you know this couldn't have happened without you. Unfortunately, we were working so hard that we forgot to take a lot of pictures, but here's what we have. 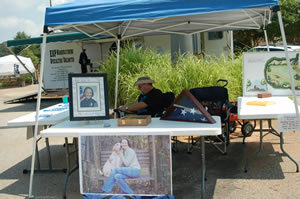 Hopefully, since there were several TV news broadcasts throughout the weekend, everyone had a chance to see the action. ESP Remotes designed an outstanding event tee-shirt following the law enforcement theme "It's More Than Just A Line"
referring to the tremendous law enforcement brotherhood of the thin blue line. 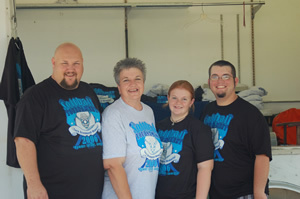 Terry Neeley (ESP Remotes) even brought his family from Alabama to setup his trailer and make tee-shirts and carry-bags on-site. Though it might have been an accidental meeting, we choose to believe it was Divine arrangement, when we met Terry a few months earlier. During the initial meeting we learned that The Neeley Family lost a precious daughter in an auto accident not too long ago. Our hearts have been bonded by our experiences. 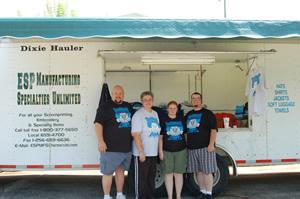 Thank You to the Neeley Family,,,,may your business and your hearts continue to be strengthened.